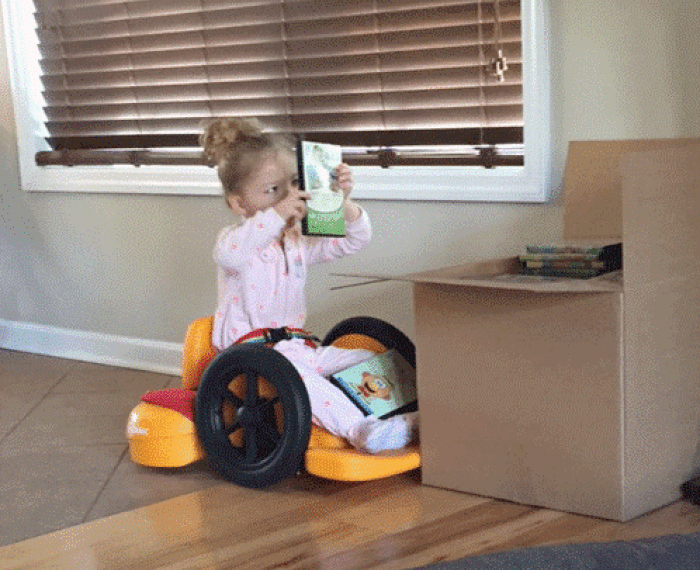 Makenzie has developed good head control and reasonable trunk control, but she requires a little assistance to sit, and more to stand and move. While spasticity in all four of her limbs makes motor activities more difficult to achieve, Makenzie has some functional fine motor skills, better on her left side. 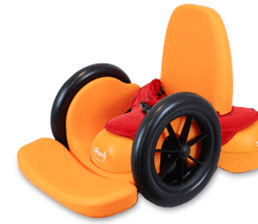 However, she requires adult assistance to play on the floor or move from room to room. 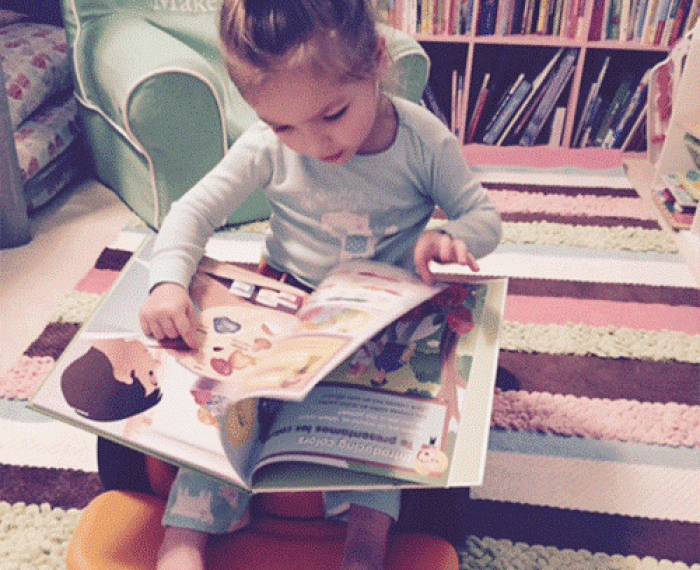 Makenzie’s parents bought a Scooot for her to enable her to be more independent within her home environment. 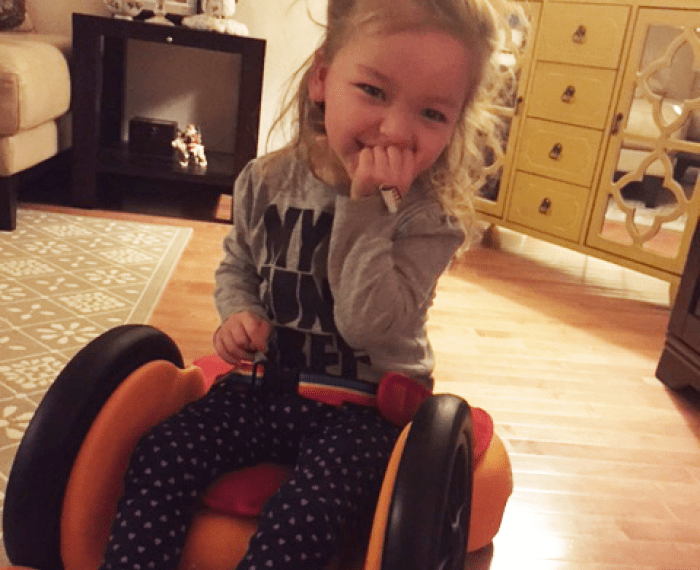 Makenzie has been able to use the Scooot in both the Crawl and Ride configurations. In the Crawl configuration Makenzie is able to practice reciprocal movements of her arms and legs, and is motivated to move herself. 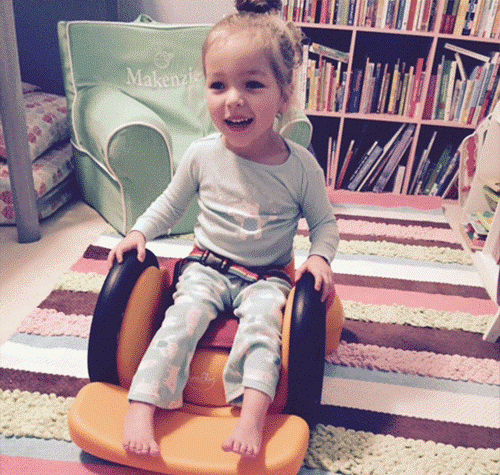 In the Ride configuration, Makenzie requires the bilateral use of her arms and hands on the wheels to make the seat move. Her parents report that Makenzie is more willing to use her right arm than previously and the co-ordination of her pushing movements has improved.